If you could spend a day with one of your heroes, what would you want to ask them? In partnership with Red Bull, we hosted a Strava challenge that would let two lucky triathletes spend a day training with Jesse Thomas. Jesse has a wide range of achievements, but arguably more famous than his athletic ability is his relaxed and level-headed approach to training. The maverick contender who races in aviator sunglasses is exactly the kind of guy we’d love to spend a day with, on and off the bike, and Kyle Klinger and Luis Iturralde got to do just that. Kyle and Jesse spent two days running, riding and swimming around Jesse’s home town, Bend, Oregon, one of the endurance sports capitals of the western United States. Once they were tired enough to sit still, we asked them a few questions provided by the Strava community. Strava: What is your preferred cross training activity? Does this differ in the off-season? Jesse: Preferred off-season training activity would be Nordic Skiing up here in Bend, where we're about 15 minutes from a free trailhead at Virginia Mezner Snow park that has about, I don't know, maybe 30 or 40 miles of groomed trails. And, so I'll head up there. And that's a great cross training activity for both cycling and running, particularly in the winter when I'm otherwise stuck to either being indoors in the pool or on the trainer or on the treadmill. It's a way to go explore around outside, which is awesome, so, that's definitely the number one preferred. Strava: Awesome! How long do you rest at the end of your season, and what is your off-season training calendar like? Jesse: I take more time off than most of my competitors do, and that's partially because I'm a dad and I just need to reward my family for the time that they've given me at the tail end of the season. And then also because of being a business owner, I kind of need to re-engage with my employees at a higher level at Picky Bars than I have been able to at the end of my seasons as well. The last few years I've been doing two Ironmans a year, and after each Ironman I've taken anywhere from 3 to 6 weeks completely off. That would mean almost no training outside of going on a hike with my kid or something like that. Maybe a super easy bike ride with a friend or something. Strava: Which is your favorite sport in the triathlon and why? And which is your least favorite? Kyle: Well, the swim is always a struggle in my head so I pretty much tell myself just get to the bike, get to the bike on the swim part. I definitely think the bike is more fun. I'm just better at that discipline than any other of the two. When I got into triathlon, I did it because I wanted to learn to swim and I had already ran a little bit. I didn't expect to like the bike, but I really love it, that's my favorite part, it's just a different kind of grind that I enjoy. And then for the one part that I dislike the most, I think that kind and goes back and forth between running and swimming. It really depends. If I had a good swim then it was my favorite part of the day. The run has always kind of been a struggle for me. Jesse: I'm in a similar boat with Kyle. I definitely tell myself during the swim, just get these legs through this water. If you can get these legs through the water, they will carry you the rest of the race. Yeah, I definitely struggle with the swim, do not look forward to it. I think my race is over every swim, but it's never been over in the swim. And then, my favorite is probably still the run. I think I'm an equally strong cyclist and runner at this point in my career, but I love the purity of running. It's just you and a pair of shoes. Strava: What do you think the biggest barrier to entry is for doing a tri? Jesse: Generally I think intimidation is the biggest barrier to entry in that triathletes, for better and in a lot of ways for worse, take themselves super seriously, too seriously most of the time, and I think that, that translates into a super intimidating environment for a lot of beginners to jump into. You can do triathlon very successfully and more importantly have a lot of fun doing it without all the bells and whistles that many triathletes think that they need in order to do it. Strava: What do you do when you're not training? Kyle: Balance is really difficult sometimes when you're an adult and you're working a full-time job, but you still want to get after it and you still want to be competitive, so I think that's clearly what I spend a lot of time doing. But, as far as what I do for fun after? I'm kind of a home person so I really just spend a lot of time sitting at home, lying on the couch, watching Netflix by myself, trying not to eat ice cream, that's pretty much what I do, you know. Jesse: Dude, that's pretty typical. I mean I wouldn’t be too different from Kyle other than the fact that I have a son and a wife. I also own a business so during the work day, I basically structure my day as like 8 to 5 every day, and during that time, my highest priority is the workouts. And so if there's 8 hours of workouts, that's pretty much the whole day. If there's only 4 hours of workouts, then I have 4 other hours I can do some stuff, and that's usually at Picky Bars, or doing stuff for sponsors or whatever else. But then as soon as I am done at 5 or 5:30, I try to be all about family until it's time to go to bed. So, for me, that's just hanging out with my kid or with my wife and a lot of that is chilling on the couch, watching Netflix, because I'm so tired. 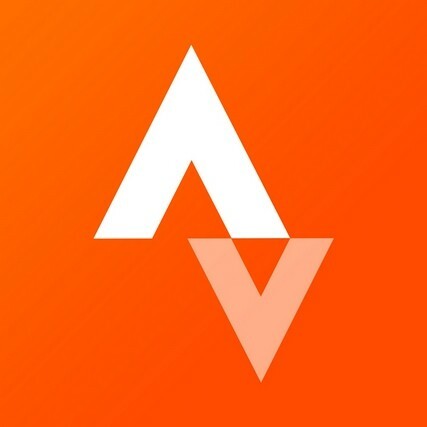 Strava: How do you both use Strava for training and staying connected with your communities? Kyle: For me, when I first started Strava it was because I wanted to track my progression as I got faster. But in the last year, it's changed a lot so that it’s a really good motivator for me. Some days I get up and I'm sitting on the couch and I'm trying to get that motivation to get out the door and I'll open up my app and I'll look at my buddies that have already got out the door and gotten work in, and it's just like, all right, I can do this. Jesse: The number one question I get from people that follow me or people that follow triathlon is always about my training and Strava has been this incredible tool for that. I literally upload every single workout I do on my Strava page. And so it's given all these followers of mine a really cool insight into what it is that I do every single day and how hard I ride my hard rides and how easy I ride my easy rides and everything else. So that's been really cool, and then interacting with that community, which is typically a more technically savvy group than my Instagram or Twitter followers or whatever else. So you get more into questions about your power, and your data, and all that type of stuff. Follow Jesse Thomas on Strava and don’t miss out on any of his training and insights. Connect with Kyle Klinger on Strava. Connect with Luis Iturralde on Strava.